I’ve put together a list of some of the terms commonly used in the timeshare industry. Following you will find the definitions of frequently used terms relating to timeshare interval ownership, vacation club ownership and/or points based vacation programs. Amenities can include everything from swimming pools to beaches, spa and fitness centers, golf courses, tennis and volley ball courts, air conditioning, full kitchens, game rooms and barbeque and laundry facilities. Timeshare intervals usually run from Friday to Friday, Saturday to Saturday or Sunday to Sunday. While the owner does not need to check in on the specific check-in day, this does not extend the stay beyond the scheduled check-out date. Check-in time is usually between 3:00pm – 4:00pm and check-out time is normally 10:00am – 11:00am on the seventh day of the interval following check-in. Timeshare ownership of this type has the same rights as any other type of deeded real estate. The owner may sell or rent the interval, will it to another or donate it to a charity. As in all types of real estate transactions, escrow is a special, secured account used to hold the funds from the buyer and seller which are related to the closing of the purchase and/or sale of a timeshare property. An exchange is the process of trading an interval owned at one resort for an interval at another resort. 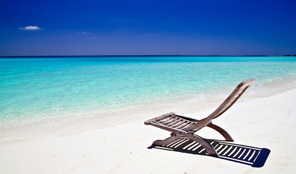 The exchange system allows interval owners to travel and vacation worldwide. An exchange company is an organization where interval owners deposit their week in order to “trade” or exchange to another resort of their choice. Exchange companies accumulate a pool of weeks from other interval owners around the world and then evaluate each interval week deposited in order to provide a suitable match based on availability and value. Some aspects of the “trading value” of an interval are determined by the time of year (or season) requested, the resorts rating and the size of the unit being exchanged. Two of the largest and most popular exchange companies are RCI and Interval International. This is the preferred type of ownership. Unlike the “right-to-use” or lease ownership, this type of interval ownership is forever. The interval is deeded to the owner and can be sold, rented, bequeathed or given away. Fixed unit means an interval owner always vacations in the same unit each year they vacation at that resort. When you purchase an ocean-front unit you are assured of always having that unit versus an ocean-view unit. Fixed Week refers to the interval calendar and assures the interval owner that they will always have the same week each year. If they purchase week 25 they will always vacation at the same time each year, at their home resort. A floating unit refers to a category i.e., studio, one bedroom, two bedroom, etc. The interval owner purchases a category but is not assured of staying in the same unit each year – one year they may be in a west facing unit and the next year in a north facing unit. Owners may request a specific unit when making reservations, but they are not guaranteed that unit. However, most resorts will make every effort to accommodate the owner’s request. Floating week owners have the flexibility of scheduling their vacations at various times throughout the year and are not tied into one specific interval each year. Owners are allowed to put in their requests for specific weeks as long as their annual maintenance fees are current. Some resorts allow owners to pay their maintenance fees two years in advance which gives that owner a better chance of getting the specific interval week they are requesting. Interval refers to an assigned period of time based on the interval calendar. The 52 weeks are numbered sequentially: week 1 thru week 52 (or 53). A specific interval week is a seven day period (Friday to Friday, Saturday to Saturday or Sunday to Sunday) within one of the 52 weeks. Several states and some foreign countries do not allow deeded ownership of timeshares. A lease ownership, also known as “right to use” ownership, grants the leaser the right to use the property for a specific period of time – anywhere from 20 to 99 years. Ownership of the physical property is held by the resort developer or management company. This is a unit which can be divided to create two separate but complete sections. For example, a two bedroom lockout unit has the option of splitting the unit into a one bedroom unit and a studio unit thereby getting two weeks of vacation. This is a fee paid annually to cover the costs of operating and maintaining the facilities of the resort and the management of the resort. Fees vary from resort to resort and are based on size and type of the unit purchased. This term refers to the maximum number of occupants the interval unit can accommodate in conjunction with “private occupancy”. While the number of bedrooms is two, sleeping 4 privately, it may have the sleeping capacity of 6 or 8 by utilizing a pull out sleeper sofa in the living room area and the second bedroom. Configurations vary from resort to resort. A term which refers to an owner having use until the expiration of a membership, although some memberships run for the lifetime of the owner or their heirs. An owner has access to several participating resorts and may reserve a week at any of the resorts included free of charge or may pay a nominal fee to the management company to exchange from their resort to a sister resort. 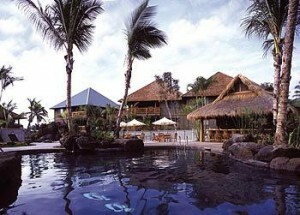 This type of vacation ownership is restricted to either odd years (2011) or even years (2012). The ownership of this type of interval is valued at one half the value of a full ownership property since the use is restricted to only one-half of the annual usage. Like “fee simple” ownership of your home, it may turn into fee simple absolute. You own your timeshare until you die or sell it (or until a majority of the owners vote to terminate ownership and either sell the land the building sits on because of age or expense) and divide the funds according to the interest (interval) owned by each owner or to redevelop the land to continue with ownership at the owners expense. Points can be thought of as a type of “currency” used to purchase a variable length of time at various resorts. Many multi-resort programs use a points system. Points allow the owner flexibility in what size unit they reserve and where they can go on each vacation. The owner purchases a certain amount of points and receives the same amount deposited into their account each year. Every year they have the same amount of points to spend on their vacation. Point values are assigned to the size of the unit according to the resort location and season. The primary points based programs currently available in timeshare are: RCI Points Network, Diamond Resorts International, Wyndham, Westin Starwood and Hilton Grand Vacations Club. The two foremost rating systems are Resort Condominium International (RCI) and Interval International (II). RCI and II rate their affiliated resorts based on a criteria of exacting standards of quality and services that are provided by the resort as well as the availability of amenities at or near the resort. II uses the designation of 5-Star for their top resorts, while RCI uses the Gold Crown designation for their highest quality resorts and Silver Crown for second-level resorts. This is a fee assessed over and above the annual maintenance fee which is assessed by the resort pro rata to the interval owners. When assessed, it is intended to defray expenses related to major repairs and/or refurbishing of resort equipment, facilities or units. This system establishes the value of an interval week typically based upon a season. Example: An interval purchased at a beach resort in New Jersey in January, would not have the same value as an interval purchased in July at the same resort. Why? Simply because the popular season to visit the beach in New Jersey is July. Many time divisions are designated as high time or red time which refers to prime time. White time or medium time refers to medium desirability and blue time or low time refers to the least desirable time of year. Some resorts, such as the Caribbean or Hawaii timeshares and some parts of California and Florida, consider all their weeks as prime time, since their year round climate and weather allows for pleasant vacations throughout the calendar year. In addition, many resorts offer year round activities which are often referred to as four season resorts where the owners may participate in various seasonal activities. Holidays and special local events also affect the interval week’s desirability. This term refers to an interval which was purchased by an individual who no longer has the ability or desire to vacation (whether due to health concerns or lifestyle changes, such as children leaving home) and wishes to sell their interval. Timeshare resales can be purchased for much less than a retail timeshare purchase direct from the developer. This is the assessed value of an interval week when trading or exchanging for another week at a different resort. In some cases, a red week at an RCI Gold Crown resort can trade for two or more weeks at a resort of lesser rating or ranking or for weeks in a lower time division. Supply and demand rules dictate this type of exchange and owners can greatly enhance their trading power with high demand resorts and weeks. This is a fee to transfer the ownership from the sellers’ name to the buyers’ name which is required by some resorts. Not all resorts have a transfer fee. Unit size has a various number of definitions: hotel unit, studio, efficiency or by number of bedrooms. Hotel units, studios and efficiencies usually (but not always) are a single room with sleeping accommodations for two to four persons and may or may not include a small kitchen. One, two and three bedroom timeshare units are usually a condominium type accommodation and feature a full kitchen, separate living and dining area and possibly other special features within the unit, i.e., jet tub in the bathroom or separate shower. Advantage Vacation is a licensed timeshare resale brokerage which has been in the timeshare industry for over 30 years and is an Accredited Member of the BBB with an A+ rating. 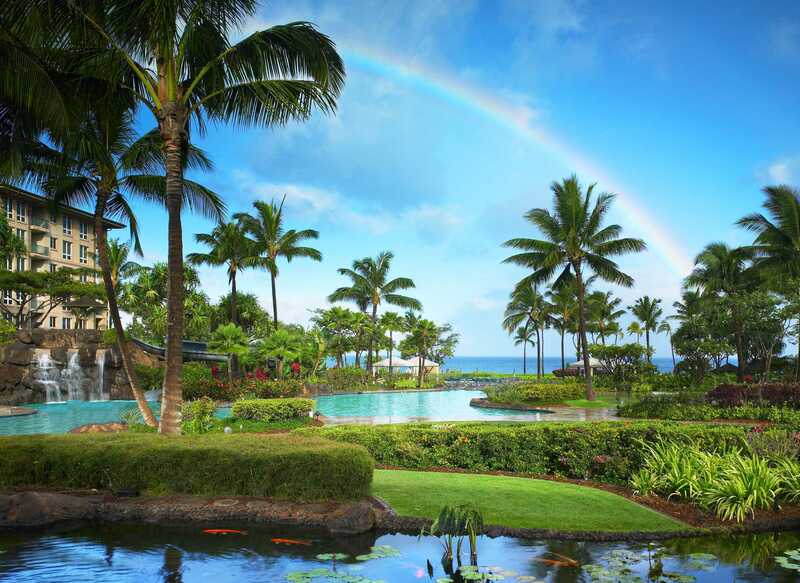 We specialize in Hawaii timeshares for sale and name brand timeshares for sale. Our business has been built on relationships and we pride ourselves on providing excellent service to our clients. You can be assured of prompt, courteous and professional service.